The ultimate luxury product. 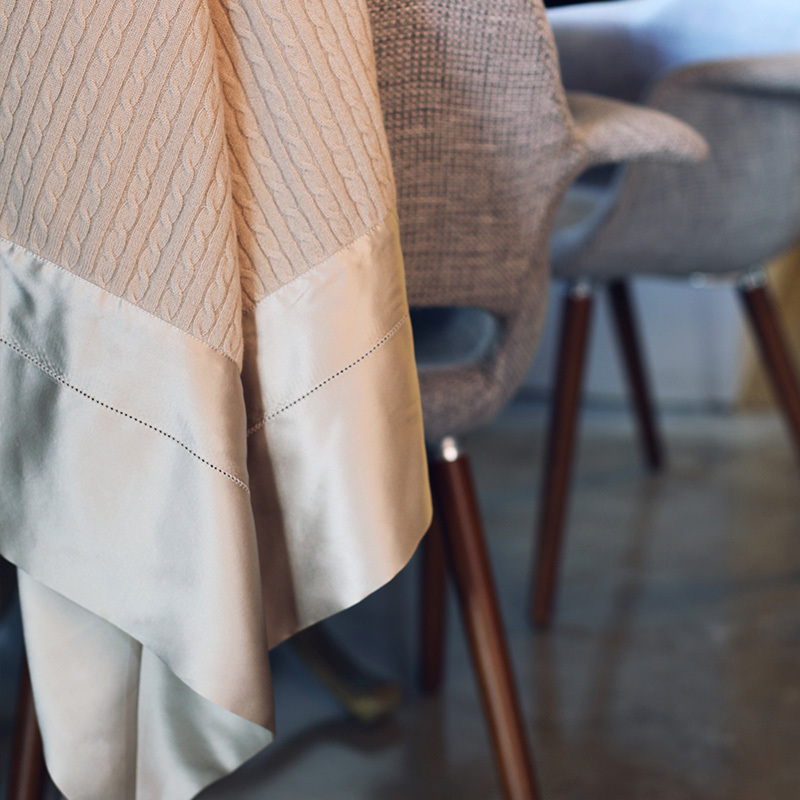 We’ve combined kumi kookoon’s signature silk charmeuse with fine, soft cashmere and filled it with hand-strung silk fibers. 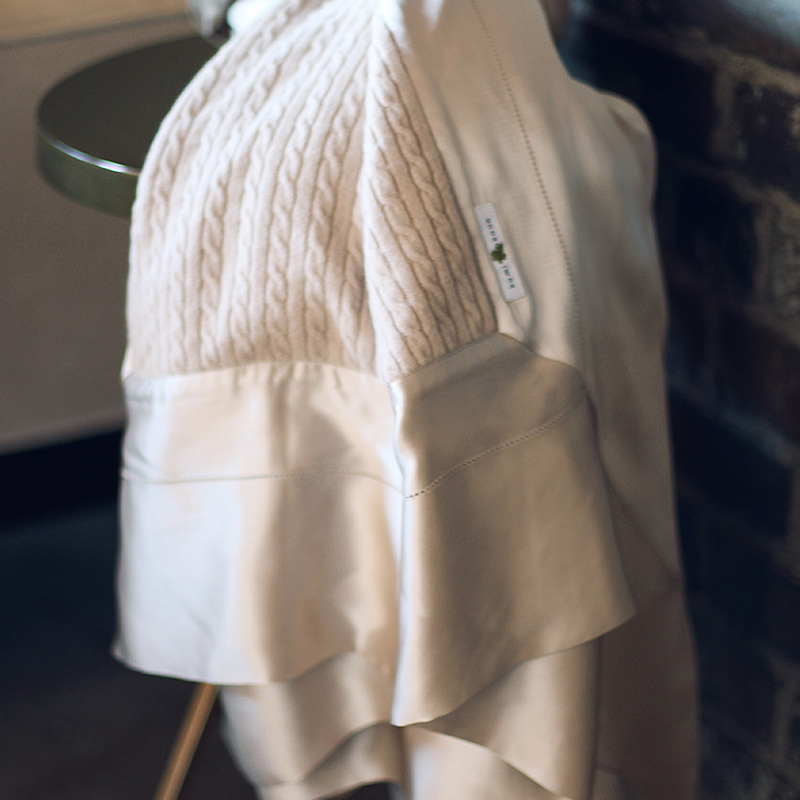 On the front, the cashmere forms a center rectangle with a silk charmeuse border. 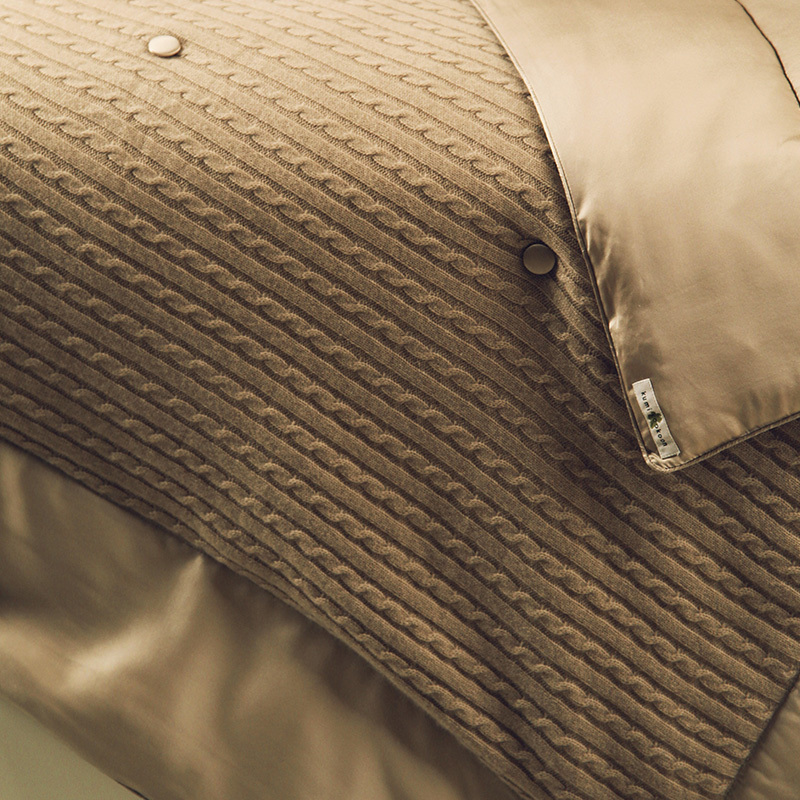 The throw is adorned with an eight button design. Silk charmeuse covers the back. Smoke Cashmere with Smoke Silk Trim is shown. Stocked with Natural Cashmere and contrasting trim.